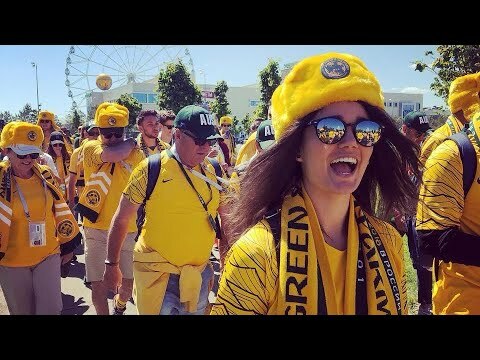 The Green & Gold Army has been Australia's premier football supporters' network for the Socceroos, Matildas and other national teams since its establishment in 2001. Free to join, GGARMY.com is the virtual club house for Australia's 30,000 strong national football fan network, bringing together Socceroos supporters based in more than 60 countries. Groups of 500+ Australians travelled with the Green & Gold Army to both the South Africa and Brazil World Cups. Our World Cup tour packages are inclusive of accommodation, ground transportation, social functions, host city tours, with Australian and bilingual local guides. We also organise all internal transportation and optional sightseeing and cultural experiences. We take the nitty-gritty of organisation off your hands so you can relax and enjoy the footballing experience with fellow Australian fans. Australia since 2013, and operated the Official FFA Westfield Matildas Friends, Family and Fans Tour to the FIFA Women's World Cup Canada.